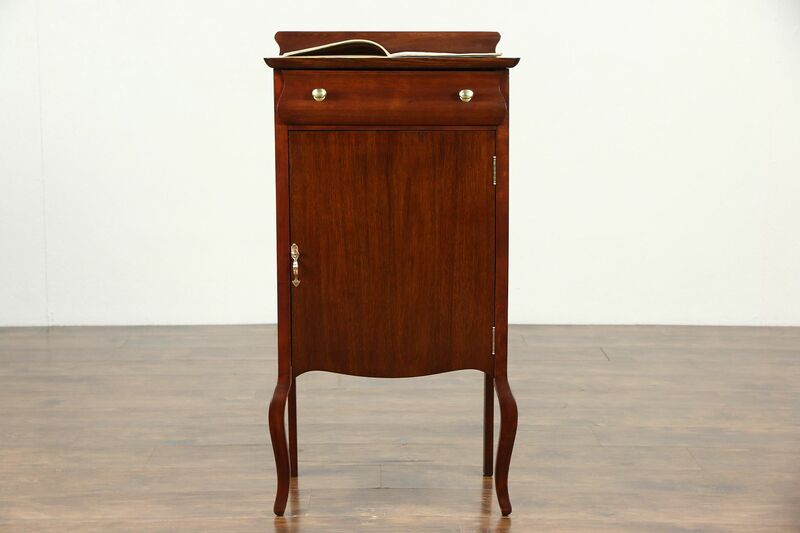 Made to hold sheet music about 1900, this file cabinet is mahogany with an excellent restored finish. Brass hardware is antique on this American made furniture. The drawer has a scrolled front and dovetailed joints. Size is 20 1/2" wide, 14" deep and 39" tall.